Designed for use in cold stores and freezers, the Flexitog Maxim Men's Flip Top Mittens FG625 use thick hollowfibre insulation to offer the highest levels of warmth in freezing conditions. They feature a special design, with a fingerless underglove that ensures dexterity and flexibility, while the thick outer liner ensures comfort and protection from the cold. 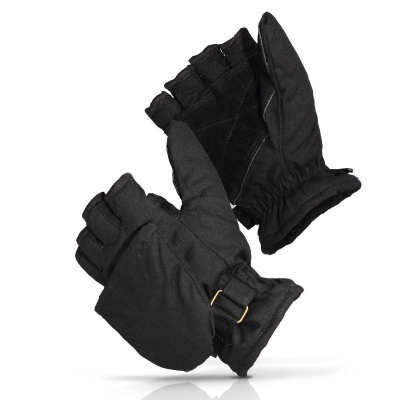 The Flexitog Maxim Mittens are available in one size that should suit the hands of most users due to their adjustable strap. 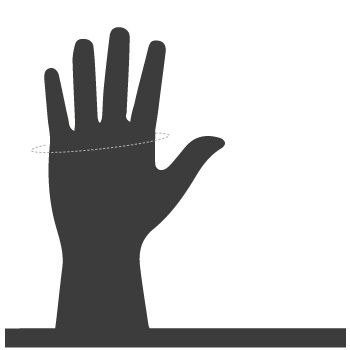 However, it is recommended that you measure the circumference of your hand around the knuckles (excluding the thumb) with your hand open and your fingers together, and match the results to the table below to ensure a secure fit. A very decent alternative to the ever difficult cold work problem of effectively being able to have good contact without getting cold. Excellent value and super warm!